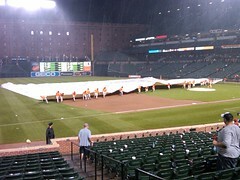 became my first rainout at Camden Yards. The rain was definitely welcome as it had been a scorcher (97 degrees plus humidity) in Baltimore today. Along with the rain came some impressive wind and lightning. 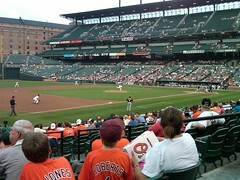 One nice thing about Camden Yards is the waterfront area in general is a nicely rehabbed area. Not to mention hotels in close proximity to the stadium makes for it to be a real easy thing to do as a tourist staying the weekend. 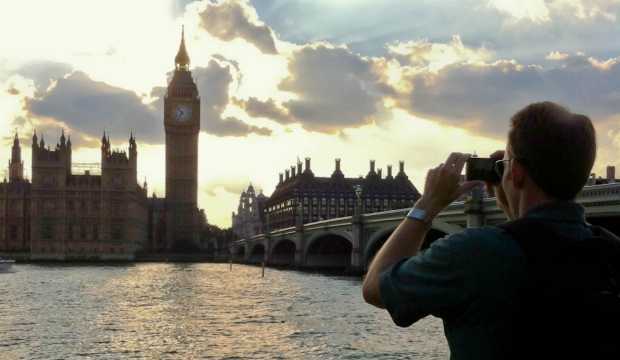 I went to Camden Yards when on holiday, the atmosphere was amazing.